I explained the steps involved in property selection, entering into sale agreement, procedures and documents needed for housing loan etc. In this article I am explaining the steps involved in registering your property, interior planning and other must do tasks after possession. Once you(or Bank) made the full payment, you can go ahead with the property registration. The builder will help you to get your property registered in your name. You need to spent a minimum of two hours in the Sub-Registrar office on the day of registration. Two Demand Drafts, one for Stamp Duty and another for the Registration Charges in favor of the Sub-Registrar needs to be prepared. They will take your photograph and thumb impression and will print it on the back of the Sale Deed. If you have taken loan the Sale Deed will go to the Bank, so make sure you collect a xerox copy of the Sale Deed. Also you may take an attested copy(notarized) of the Sale Deed if you need, you will have to pay approximately Rs. 1,000. Or this can be done for Rs.8 per sheet from any notary(visit your nearest BDA complex for details). Now the flat is in your name, you can do the interiors if the builder is not providing one. Find a good carpenter and get it done. Normally it takes 20 to 30 days and will cost you another 3 to 5 Lakhs. Make sure you make the final payment only after all the works in your apartment is finished. Also keep a record of all the payments done to the Carpenter and get it signed. Once the interior work is finished, you need to hand over the flat back to the builder for the final finishing work. Before handing over the flat, make sure you cover all your interior work with paper or plastic. Also get the Chimney and Hob work done before the polish work. Once the builder completes the finishing work in your flat you may ask for a temporary possession certificate which is a legal document from the builder giving permission to move in to your flat. Actual possession certificate will be given by the local government authority like BBMP or BDA after completion of the apartment complex and their inspection. Finally your dream home is ready for possession! 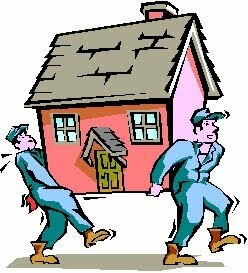 Don't think major work for your home is over, you need make arrangements for shifting, buy furniture, electrical fittings and other kitchen utensils. What you need to do is to check with your friends and neighbors, collect as much information as possible. Short-list vendors ask for quotes and negotiate on the charges (not quality!) and pick one from the list. Before housewarming buy the electrical and bathroom fixings and fix them. Normally builders provide only switches, plug points and bulb holders. You need to buy Fan, Tube Lights, CFL Lamps, Geysers,Chandlers, Light Shades, Door Bell and other miscellaneous items. What you need to do is, count the number of points in each room provisions given for fans, lights etc, note down in a piece of paper. Once you are sure about the numbers you need to decide on the colour of the fan, Tibe light or CFL, type of lamp shades etc. Once you have all the aboe details visit your nearest electrical showroom and ask for a final quote. Visit few more shops and get the quote for the same brand, then compare and finalize the shop. Some shopkeepers send the electricians for the fitting and normally they charge Rs. 30 to Rs. 50/fitting. Otherwise you will have to arrange your own Electrician, not a big deal. Normally people forget on the bathroom fittings, they realize this only on the day they moved in! You need to go to a hardware shop and buy towel rings, tray for keeping soap etc, mirrors etc. You can ask your carpenter to fix those along with the curtain rods. 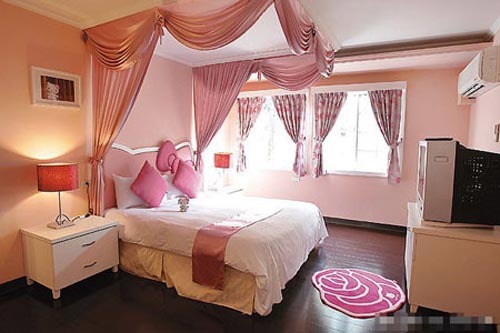 You will get it from the same hardware shop or go to shops exclusive for Curtains. Make sure you have the measurements before visiting the shop, or you can ask them to visit your flat to take the measurement. Curtain rod balls costs 200 to 1200 per pair, go for good quality materials as we will not be changing curtain rods often. You can go for single rod or double rod depends on your choice. Call 3-4 reputed packers and movers in your city, ask for a quote. If its not falling under your budget, go for local brands(again branded), make sure they does packing and unpacking, not only transportation. For local shifting it may cost you from 1500 to 5000. Its your dream home, invite your relatives, friends and neighbours for the ceremony, arrange breakfast/lunch there itself(not in restaurants-if you want to make this a memorable occasion in your life). Even if you are going to rent out the house, stay at least that night there with family and be proud of having your own home! Last but not the least, make arrangements for News Paper, Milk, Landline and Broadband. Keet note of the house keeping, electrical and plumbing service contacts, security, nearest hospital contact numbers. This is one of the major task after you move in to your flat. Collect the application form, submit it to the Panchayat or BBMP office along with copy of your Sale Deed, Encumbrance Certificate, Previous Tax Paid Receipt and Land Conversion certificate if any. By default the electricity meter will be in the builder's name, you need to fill a transfer form which can be collected from your BESCOM office and submit it along with your Sale Deed copy. Cool! Now put some light music and enjoy!! !